CopyTrans Contacts cannot import messages to an iPhone directly. Due to certain Apple limitations, there’s no such option as to import your SMS, iMessage or WhatsApp chats to another iPhone directly in CopyTrans Contacts. Despite that, this article explains how to import text messages and chats into your iPhone or transfer them from one iPhone to another. This option doesn’t require using iTunes or changing the existing data on the iPhone. 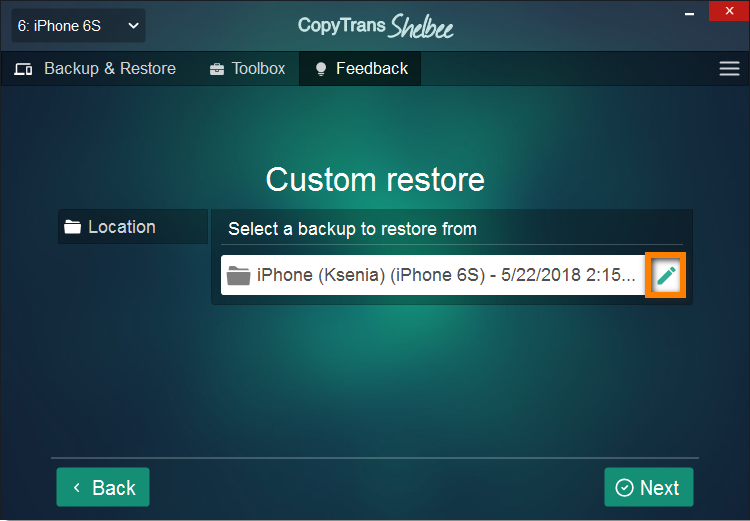 CopyTrans Shelbee can transfer all your SMS, iMessages and chats including pictures, videos, links and documents from an old iPhone to a new one. All other data already stored on the iPhone will be preserved. However, if there are already some SMS or messages on a new iPhone, they will be overwritten with the SMS / iMessage from Backup. 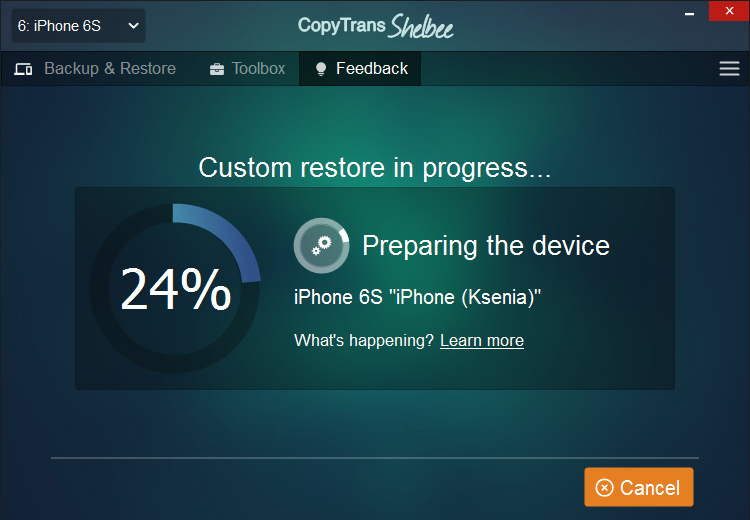 CopyTrans Shelbee can also move your WhatsApp and Viber chats to new iPhone or even transfer saved games from iPhone to iPhone. What do I need to import messages to iPhone? Meaning a backup made with iTunes or CopyTrans Shelbee. The main requirement – should contain all the messages you want to restore. Please follow the guidelines below to import SMS/iMessages, WhatsApp or Viber chats to your iPhone. 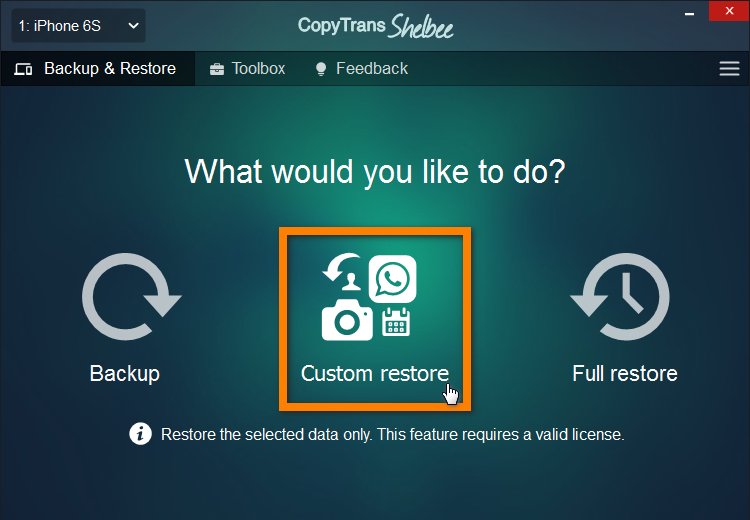 Download and install CopyTrans Shelbee. Connect your device and select “Custom restore” option in the main menu. Choose the backup you want to restore by clicking on the pencil icon. Select the iPhone backup that contains your messages. In the newly appeared window, select “Messages”. NOTE: We recommend selecting “Accounts” along with the “Messages” during this step to make sure that all your messages are transferred. Selecting Accounts will overwrite the already existing mail accounts and any associated cloud account information (contacts, calendars, notes, iMessages) on the destination device. Please note that existing messages on your phone will be overwritten. Click “Next”. 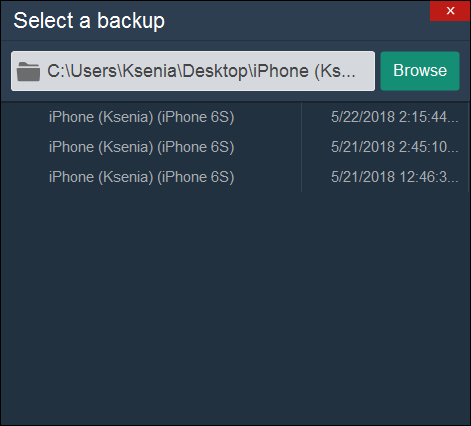 Here you can select the backup location. When selected, click “Start”. This is how you easily import messages on an iPhone.